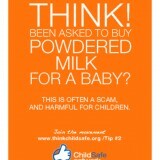 June 1st is International Children’s Day, and on this day we launch our ‘Protect All Children. 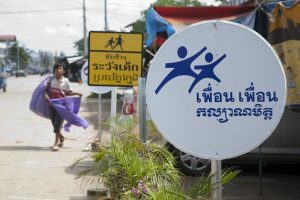 Migrants Too.’ campaign to help support the forgotten children – the many thousands of migrant children who face risks on a daily basis in Cambodia and Thailand. 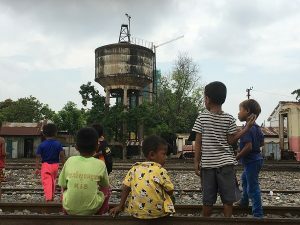 At this moment, over 15,000 Cambodian children are working precariously in Thailand, at high risk of abuse and exploitation. These children are migrants. 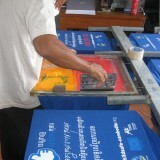 Many came illegally to Thailand, alone or with their family in the hope of making a better living. Very often, they get arrested and deported. In 2017 alone, 63,992 Cambodians were deported across the border. Over the next few weeks of our appeal we will take a closer look at the stories of just some of those children – like 11-year old illegal migrant Veasna, detained along with his mother for begging on the streets of Bangkok, 7-year old Sreylin, left alone by her migrant construction worker parents and found scavenging at a busy marketplace, and Chandara, who at 15 made the dangerous illegal crossing into Thailand to scavenge every day, taking a toll on his mental health that only ended when he was arrested and detained. These stories do have another thing in common. These children are all now safe and in better situations thanks to the interventions of our #EverydayHeroes. The program managers, social workers, drop-in center managers and the team support networks who all pulled together to help them, and this is why we are asking your support for our work with migrant children, so together we can help many more children like Veasna, Sreylin and Chandara. 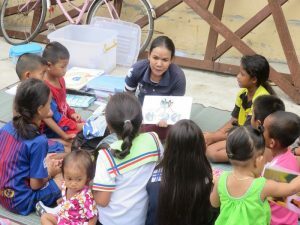 There are still thousands of forgotten children affected by unsafe migration in South-East Asia, and we hope this month you will support us to enable us to make a real difference in their lives, to ensure that they too are able to access the rights all children have to live their lives safely and happily. ‘This case is closed…’ …and now the future really starts!